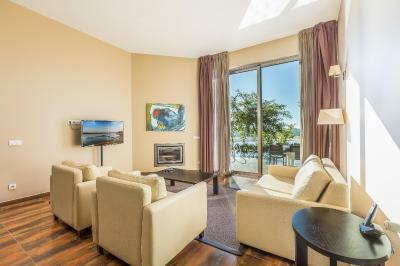 Lock in a great price for Lago Montargil & Villas – rated 9 by recent guests! 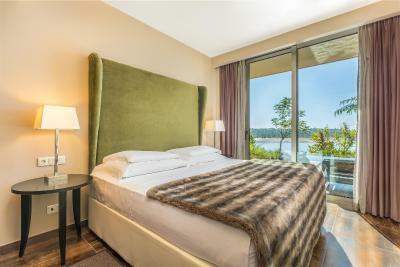 Nice and spacious rooms with relaxing view to the lake. Very friendly and attentive staff. Great atmosphere for relaxation. All the facilities are very good and well maintained. Very good for nature lovers. Everything was great. Great place, great views, great food. + Very good quality hotel overall with excellent pool facilities. + Rooms are super spacious and comfortable. Walk in shower pretty amazing. + Very good restaurants nearby (by car). The staff were really nice. you couldn't find anyone without a smile. Everything was clean, the food was very good. Once you leave your room you'll certainly find a pool because there are six available. The size and layout is very well planned. Even during firt week of August, and full capacity, I never found many people. Was able to have quiet moments in the 4 outdoor and 2 indoor pools as well as the spa. Very nice staff. Great variety at Breakfast, rooms are enormous, great facilities and hotel has multiple pools that are perfect. The massage were good and the Spa looked great. 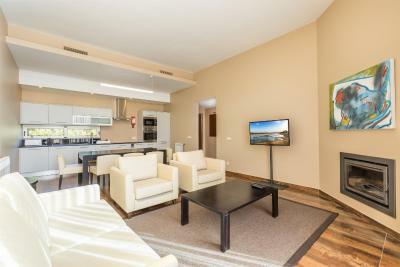 Lago Montargil & Villas This rating is a reflection of how the property compares to the industry standard when it comes to price, facilities and services available. It's based on a self-evaluation by the property. Use this rating to help choose your stay! 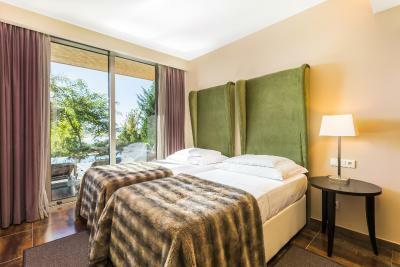 One of our top picks in Montargil.Located on the Montargil Dam, this 5-star hotel offers luxurious rooms with a flat-screen TV and a private balcony. 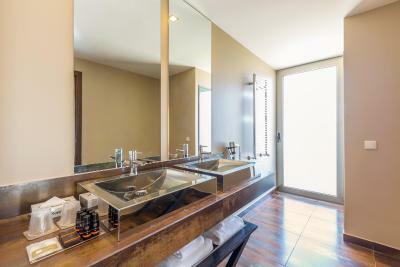 Facilities include a marina, an equestrian center, and a 3281 ft² Spa. The rooms of Lago Montargil & Villas include a safety deposit box and feature floor-to-ceiling windows. 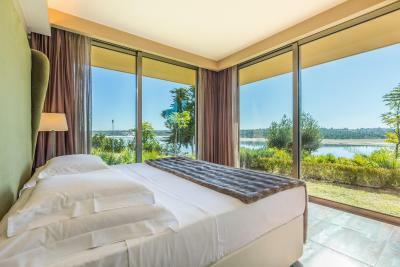 Some rooms have views of the surrounding landscaped gardens and the outdoor pool, while others have views of the lake. Guests can relax at Lago Montargil & Villas' extensive Spa, which includes an indoor pool with whirlpool features, a sauna, a steam bath, and a fitness center. Children can have fun at the kids club. There is also a business center with a computer and printer. 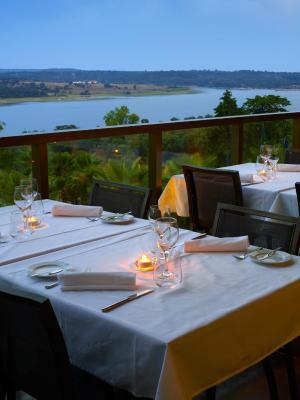 Lago Montargil & Villas' 2 restaurants offer local and international cuisine made with fresh, regional produce. The 3 bars serve a wide variety of drinks and light snacks. 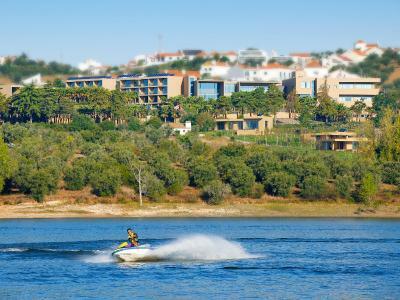 Ponte de Sor is a 30-minute drive from Lago Montargil & Villas, and Galveias is a 40-minute drive away. Free private parking is possible on site. 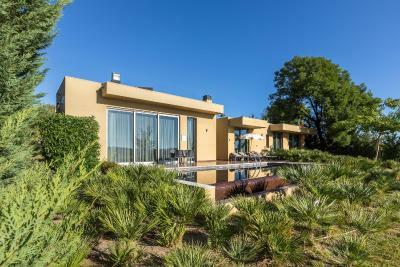 This property is also rated for the best value in Montargil! Guests are getting more for their money when compared to other properties in this city. 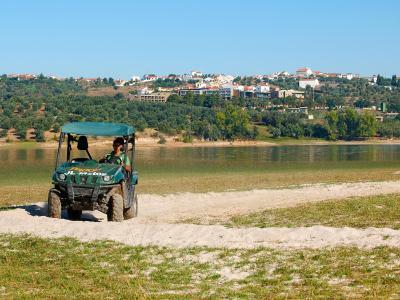 When would you like to stay at Lago Montargil & Villas? This suite features a sitting area and panoramic views of the lake. It provides free access to the spa. This air-conditioned room has a balcony overlooking the garden and pool. This room has a balcony overlooking the lake. This villa has a balcony, air conditioning and fireplace. Please note that the check-in for the villas is made at 18:00. This villa has a balcony, mini-bar and toaster. House Rules Lago Montargil & Villas takes special requests – add in the next step! Lago Montargil &amp; Villas accepts these cards and reserves the right to temporarily hold an amount prior to arrival. Lago Montargil & Villas accepts these cards and reserves the right to temporarily hold an amount prior to arrival. Please note that for reservations of more than 5 rooms, different policies and extra charges may be applied. Guests booking on Non-Refundable Rates should inform Lago Montargil & Villas of their invoicing details (Name, Address and VAT number) at the time of booking. Please note that the Half Board meals will be served at the Buffet Restaurant. Please note that the "A Panela" restaurant is closed for lunch between 1 June and 15 September. The restaurant menu is overpriced and unsuccessfully aims at serving sophisticated food. Slow service. The local restaurants in Montargil a few minutes away by car are a much better option. Badly maintained villa. Mould on the sun loungers. Some staff members were incompetent and unfriendly. Most of the staff was nice and competent. The scrambled eggs were awful. The rest of the breakfast was good. But the eggs were really soggy. What a wonderful place! I thoroughly enjoyed the hotel design and the way it was built into the natural surroundings. The beds are extremely comfortable too. no coffee and tea facility in the room this is a MUST for a type off Hotel , we had to ask to turn on the Jacuzzi , as they a said was in maintenance ( when it was working well once day before and when the hotel was full , so looks more like a saving , then maintenance . We had a rough start with some issues with the A/C and eater that the hotel quickly solved. Very nice staff always ready to please. The buffet restaurant could have more diversity, especially for the price. This is by far the best hotel I’ve ever been to, and the best part it’s definitely the staff that matches the quality of the facilities. I hope to be back soon. The view for the pools and lake. The friendly staff. Good areas outside to walk near the lake.